Every now and again Mattel comes out with a Barbie or Ken doll that gets everyone into a flap. Of course Barbie has always been controversial just for being the shape that she is but over the years she’s been in a few other scrapes too. Here are just a few of them. An early Barbie accessory was this diet advice which would certainly not be allowed today. “How to lose weight II” by CarrieBee – Own work. Licensed under Public domain via Wikimedia Commons. Poor old Ken has always had an image problem it seems and back in the early 90s Mattel were wondering whether to drop him from the line for the second time. They commissioned a survey of girls asking if Ken should be kept on as Barbie’s boyfriend or replaced with a new character. The girls wanted to keep Ken but they wanted him to be updated. Earring Magic Ken was Mattel’s attempt to do this. The Earring Magic line featured Barbie and all her friends including Ken who sported blond highlights in his hair and an earring. That and his lilac top prompted some observers to say that he resembled the stereotype of a gay man. The doll quickly became popular with male doll collectors but despite it being a commercial success Mattel discontinued it. 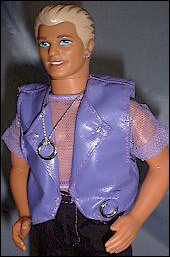 Even today some collectors will still refer to Earring Magic Ken as “Gay Ken”. “Emagicken” by . Licensed under Fair use via Wikipedia. Tattoos have got Barbie into lots of trouble. In 1998 it was Butterfly Art Barbie. These dolls were beach dolls and all of them, Barbie, Teresa, Christie, Kira and Ken came with tattoo designs on their bodies. By today’s standards they look pretty innocuous as far as the tattoos are concerned more like kids temporary tattoos than something you would see on “Bad Ink”. I believe that some parents also objected to the girls skimpy bikinis as well. I am inclined to agree with that. 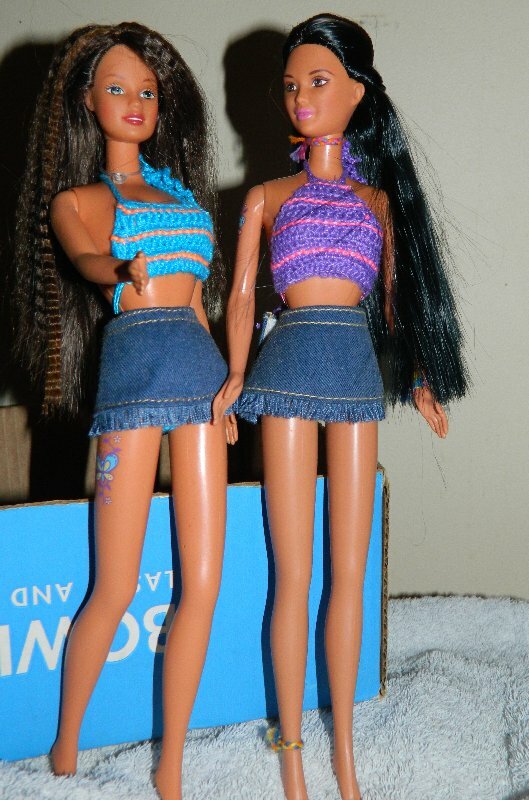 Anyway Mattel reacted by recalling the dolls and they were subsequently offered for huge sums on eBay. Here is Butterfly Art Teresa showing her tattoo. I will say that while I personally dislike tattoos I thought that this was a lot of fuss to make about some dolls. I bought Butterfly Art Teresa because I thought she had a pretty face and I liked the crimped hair. I bought Kira later because Kira’s were hardly ever sold in Australia and if I can’t get something here that’s why I want it :). I didn’t buy Butterfly Art Barbie because I didn’t like her eyes. I thought she looked a bit dazed. The skimpy costumes were considered unsuitable for a child’s doll. Mattel has released a range of Harley Davidson dolls over the years and several of these have had tattoos as well. 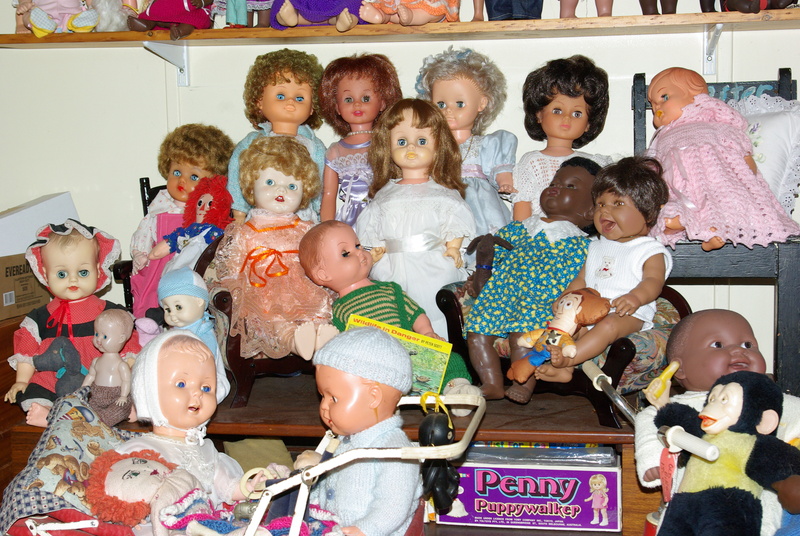 As these are dolls for adult collectors it doesn’t seem to have stirred up such a storm of protest. 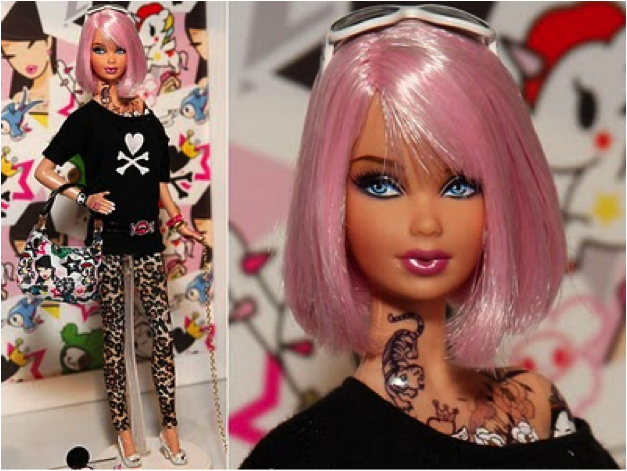 In 2011 another controversial tattooed Barbie appeared. Tokidoki Barbie. Although she was a limited edition collectible she does seem to have provoked a lot of articles both for and against. 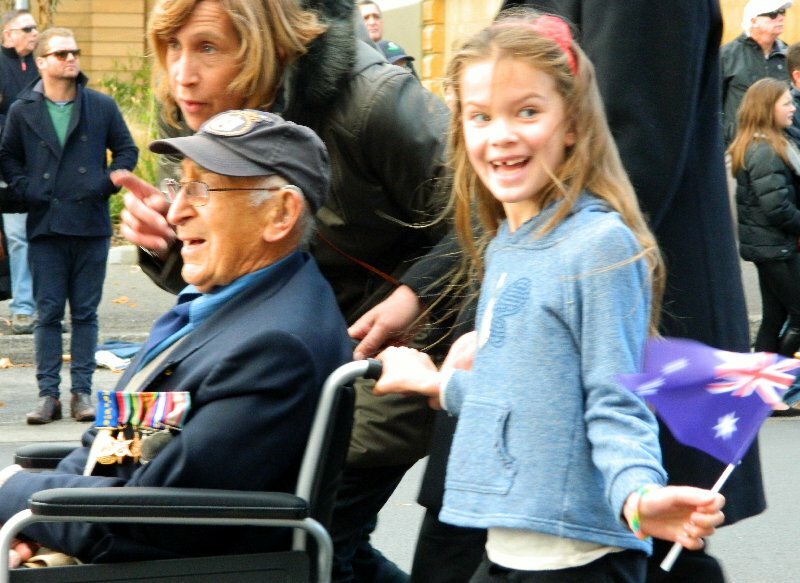 Somehow I managed to miss hearing about her altogether. 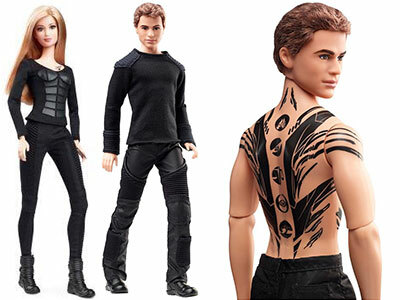 Just recently I was looking at another series of collectible dolls, the “Divergent” line which has heavily tattooed dolls and thinking that Butterfly Art seems pretty tame next to these guys. Obviously the collectible dolls are released because they are part of pop culture and bought by collectors of TV & movie memorabilia as well as doll collectors but I do wonder why Mattel keep releasing playline dolls that they know will get them into trouble? Am I being very cynical in thinking that perhaps that’s exactly why they do it? Any publicity is good publicity? Are these and other controversies really such a big deal or is it just a case of a very vocal minority making a fuss while the vast majority either don’t know or don’t care? Either way I’m sure we haven’t seen the last of controversy in the pink aisle. I think it’s both with the “controversal” dolls. They are indeed a a publicity boost, plus all the people who rush to buy the controversal ones, because they think their price will skyrocket. But there are also the, hopefully, minorities who feel offended by anything they are not used to. Personally I’m not a tattoo lover too, but to each his or her own. I think the difference between collector dolls and playline is that the buyers of the latter are mostly parents. May be some parents feel insecure about the effects a toy has on children and that is why some make such a fuss about nothing. You are right about Butterfly Art Barbie, she really has weird and crazy eyes. Kira is lovely, I hope I’ll find her some day. I didn’t know, they also made a fuss about the clothing, lol. 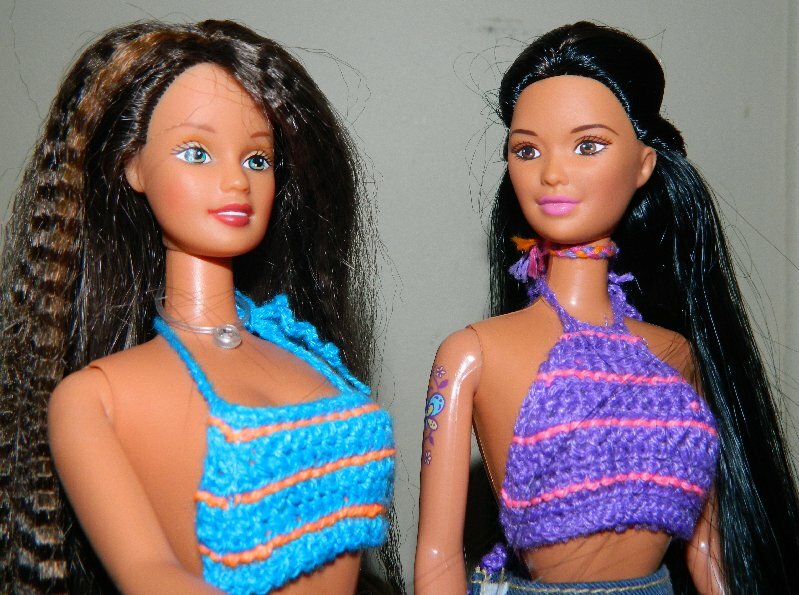 In the 70s you could see crocheted Bikinis at any public beach or pool, that were by far more reveiling than these. For me, math class was tough, so I can totally relate to Barbie on that level. 😉 All these controversies stem from people thinking Barbie will influence others in a way that Barbie never well, in my opinion. It’s like the weight thing. People always complain about Barbie being too skinny, but I think, if a person struggles with their body image, it has a lot more to do with the people around them, not the dolls. You know? And tattoo’s, I don’t have a problem at all with them on dolls. I think some are well placed. I love the Tokidoki and Divergent line for that reason, actually, and I am super afraid of needles (meaning tattoo’s that are permanent will never happen!). I agree with you, I am sure children are not that much influenced by toys but more by the people around them. Especially now when they play with them for just a few short years. lol..much ado about Barbie and Ken..Think I have that Ken..now I know what clothes he should be in.wow had trouble in math too, and my dad was a math teacher..Would LOVE one of those Barbies..these gals are lovely..sorry I didn’t see this when you first posted!There was an Abbey doll from the show NCIS, that no-one could find that was supposed to have her tats but may have been a doll someone custom made.geat stuff.. I think Abby was probably an OOAK as I’ve never read of one being produced. 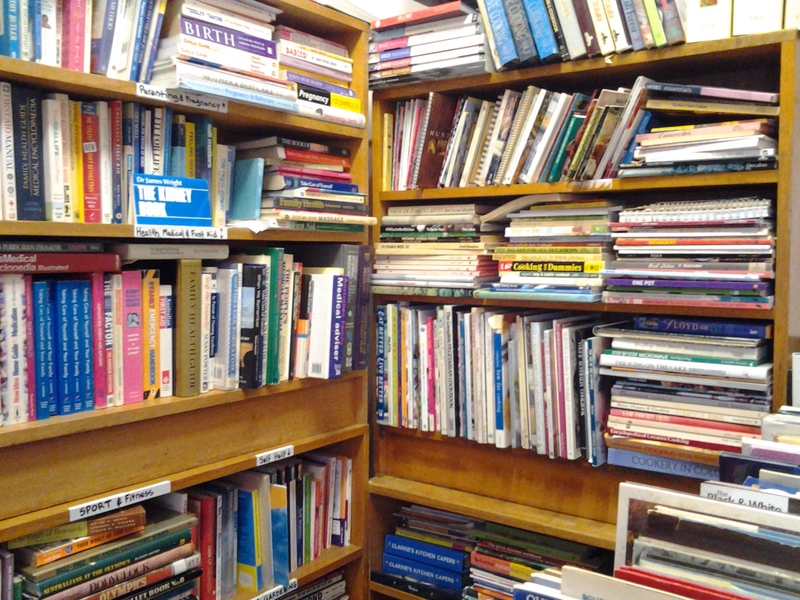 I’ve posted a lot of stuff over four years I don’t expect everybody to have read all of it. That’s why I occasionally repeat one if I think it might be of interest to new followers.